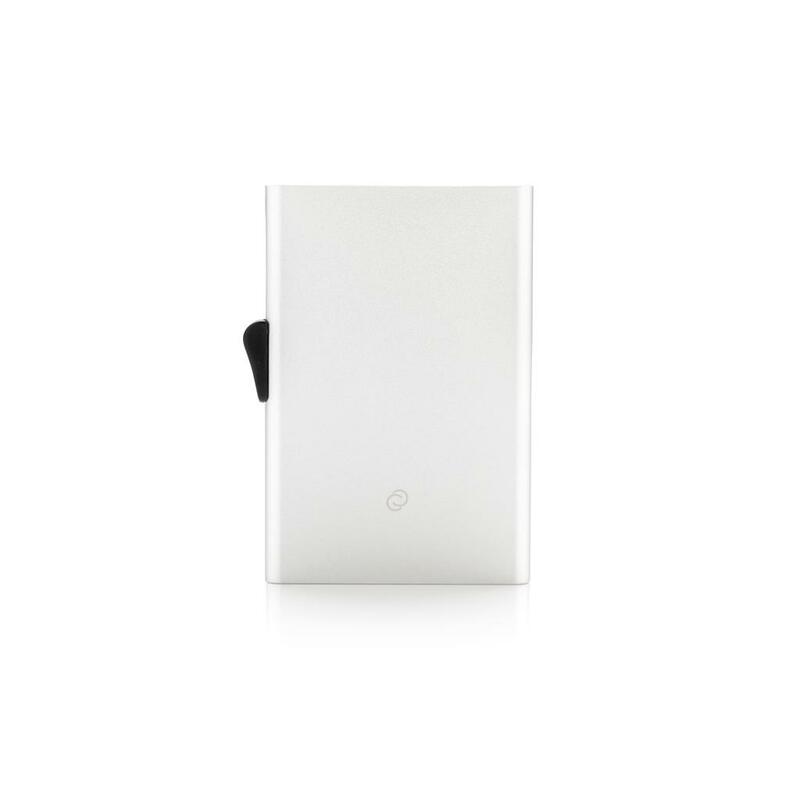 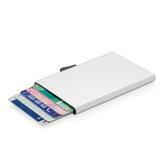 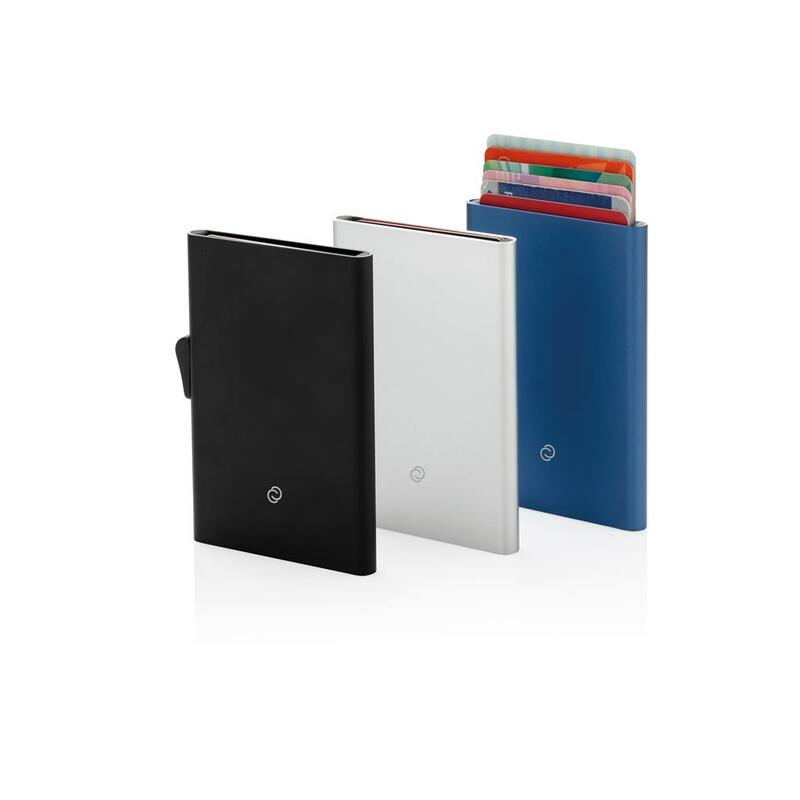 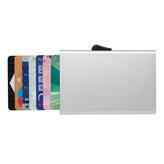 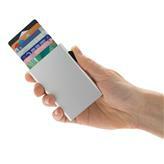 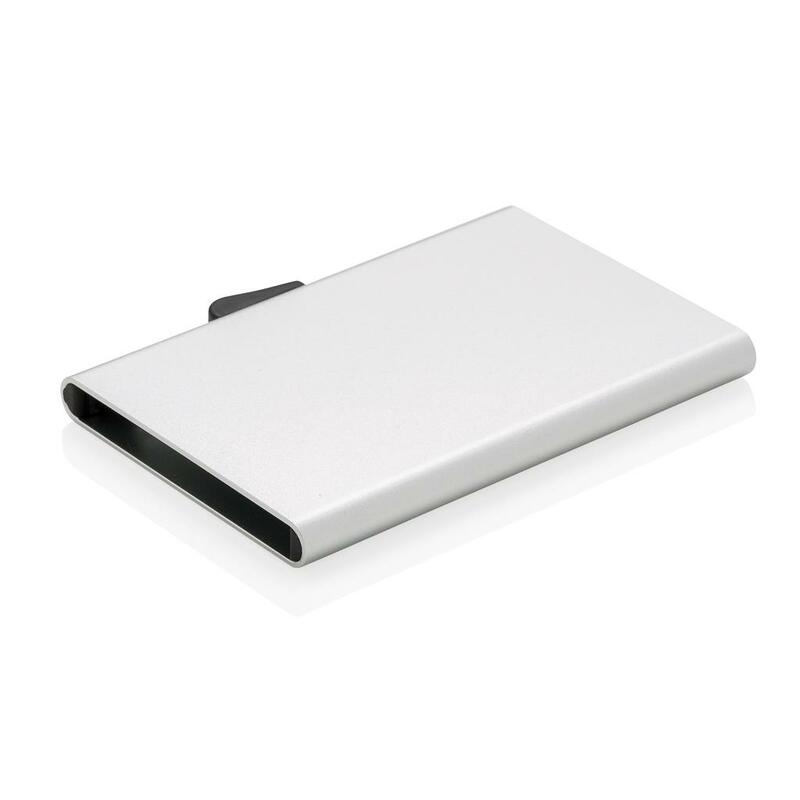 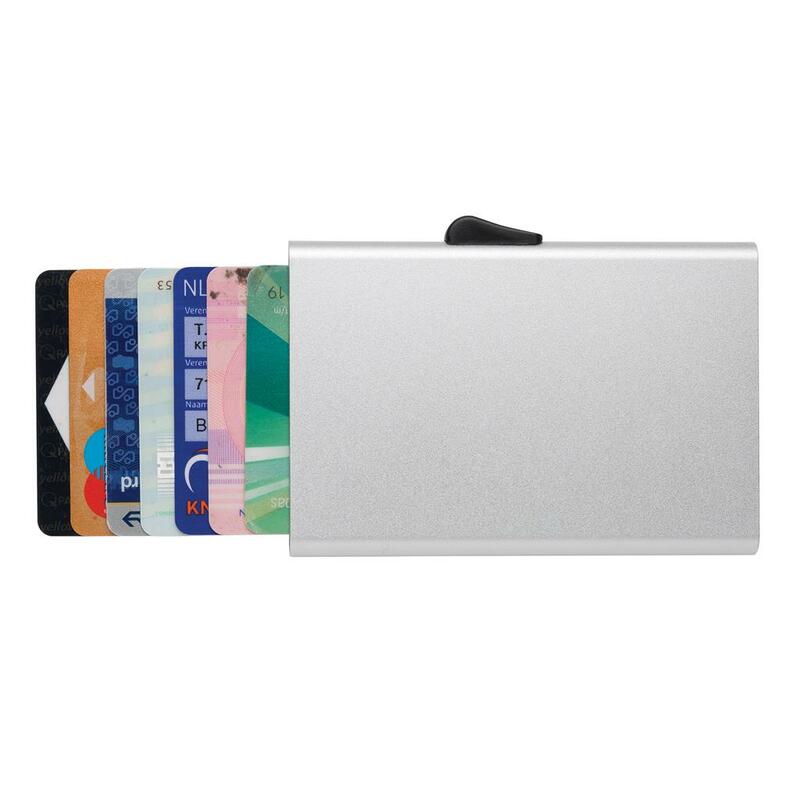 This solid aluminium card holder protects your most important cards against electronic pickpocketing. 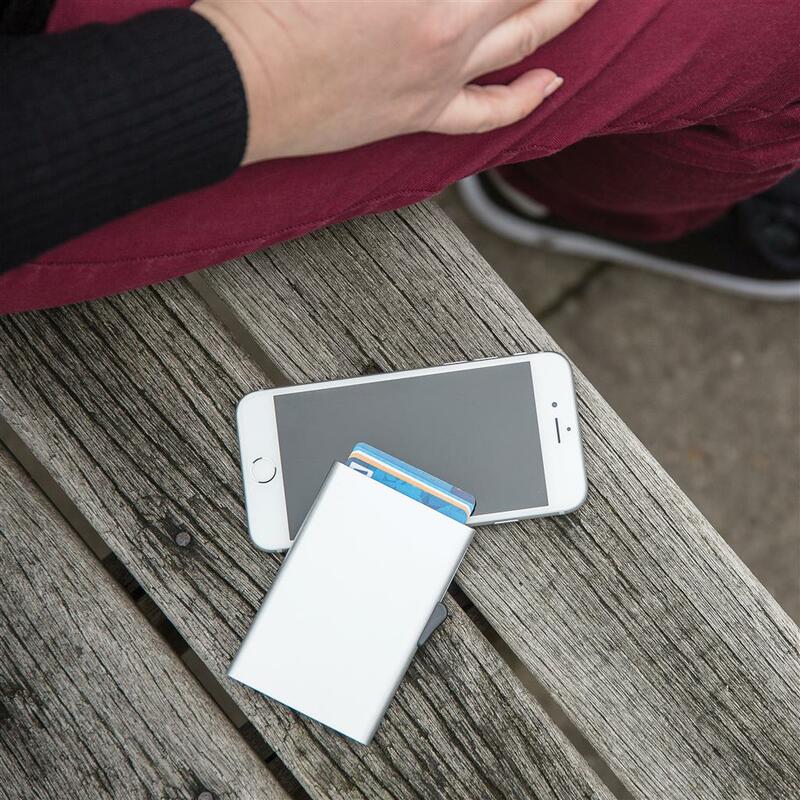 No more broken or bent cards. 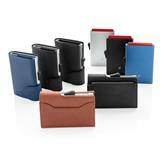 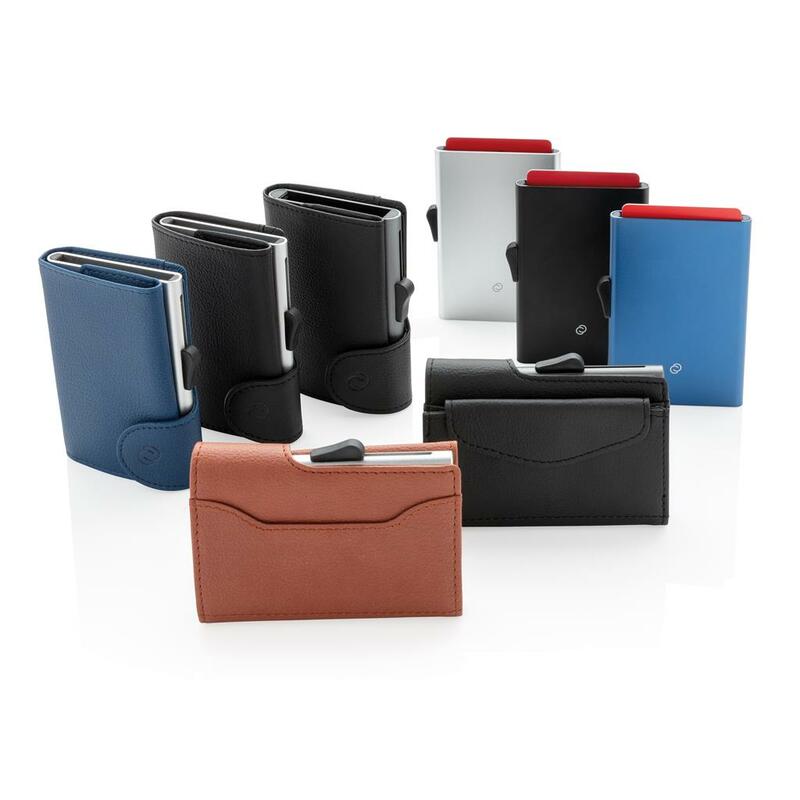 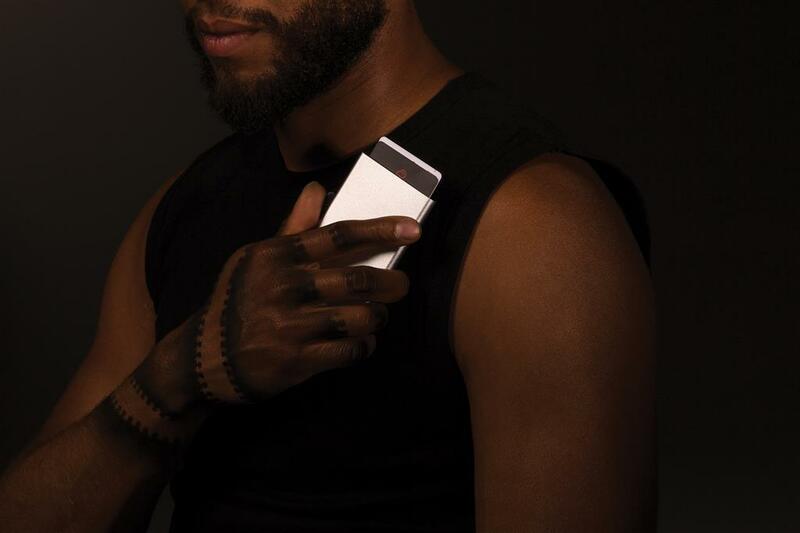 It can hold up to 7 cards or 5 embossed cards. Easy side slider will push the cards up gradually.